Research, retrieve, organize, and deliver electronic records as required for critical e-discovery compliance. Quickly research, retrieve, organize, and deliver electronic records as required for e-discovery. Electronic files, scanned paper documents, email records, and other files stored in Document Locator are easily classified, placed on legal hold, reviewed, and transferred. Email Archive is a fully-integrated, optional component of Document Locator that incorporates copies of email communications within a unified system of all documents and records. Email records receive the same level of concern as other electronic and printed business files. Records are securely managed and searchable from a single location. Changes in Federal Rules of Civil Procedure (FRCP) have placed new demands on businesses and how electronic information is stored and made available through e-discovery. Compliance is a priority for IT and business managers who are facing the added burden, expense, and hassle of locating and processing all the information related to e-discovery requests. 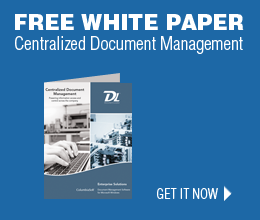 Watch our document management video.